The Boardwalk might not be vintage, but it is just as cool. This throw back "woody" motorbike is exactly what every Huntington Beach Surfer wishing he had to cruise the boardwalk. 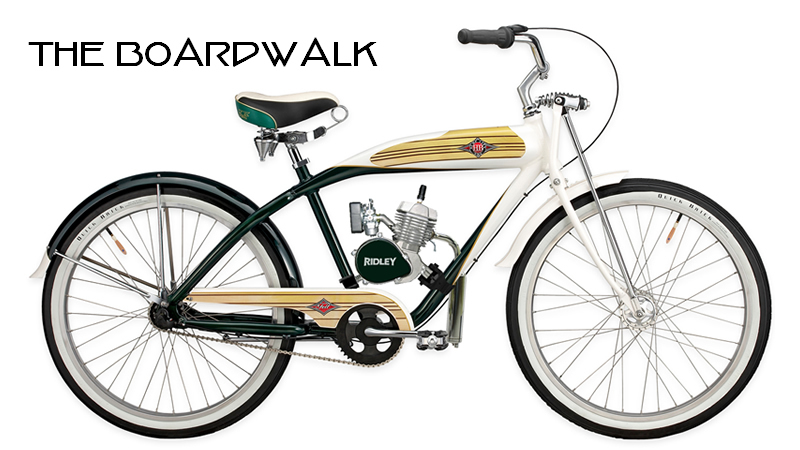 The Boardwalk model is currently available through Vintage Motorbike Retailers.